Here’s what’s up in the world of TV for Sunday, May 28. All times are Eastern. 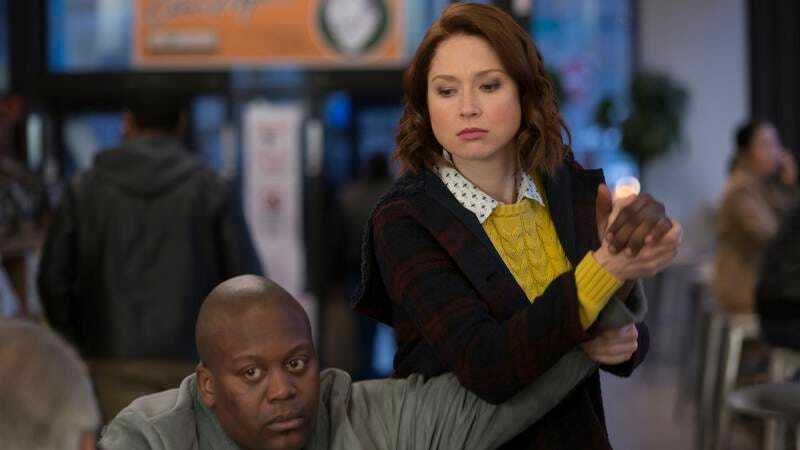 Unbreakable Kimmy Schmidt (Netflix): Sunday TV nights have considerably amped up in intensity, what with Leftovers in its final season, and the uber-dramatic recent debuts of American Gods and Twins Peaks. If you’d rather not go so dark for your holiday weekend (c’mon man, it’s almost summer! ), this is a great time to catch up with plucky heroine Kimmy Schmidt. As season three kicks off, the indefatigable Kimmy (Ellie Kemper) considers college, tries to divorce Reverend Richard Wayne Gary Wayne (Jon Hamm), and remains surrounded by her delightful friends. Jacqueline (Jane Krakowski) continues to explore her Native American roots, Lillian (Carol Kane) explores life after Bobby (Fred Armisen), and Titus (Tituss Burgess) grapples with heartache. Fortunately, this last event leads to Titus’ version of songs from Beyonce’s Lemonade, which is worth the price of admission all by itself. And as long as Amy Sedaris’ Mimi is sticking around, and new guest star Laura Dern shows up, we’re not going anywhere. We’re pretty sure Kayla Kumari Upadhyaya, who’s been posting Kimmy reviews every other day, agrees. PBS Previews: The Vietnam War (PBS, 9:30 p.m.): Ken Burns’ latest PBS outing is a mini-series about the Vietnam War, which will air this fall. PBS is offering this half-hour preview appropriately on Memorial Day weekend, and it’s well worth checking out. We were fortunate enough to see a panel about this project with Ken Burns and Lynn Novick, along with score composers Trent Reznor and Atticus Ross, and there wasn’t a dry eye in the room. The production looks flat-out astonishing, featuring archival footage and interviews from various Vietnam vets for a documentary that is somehow simultaneously horrifying and heartwarming. As our country’s current leader stupidly heightens tensions with various other nations right now, this series couldn’t come along at a better time: a stark reminder that war takes its most severe toll on the brave soldiers in the trenches, far away from the bureaucrats who put them there.